Can streaming music be a sustainable platform for artists? It’s one of THE big, sensitive, always-likely-to-cause-a-row questions about the modern music industry: can streaming music pay off for artists, not just for music rightsholders, the streaming services and the latter’s investors? Thom Yorke’s declaration last year that Spotify is “the last desperate fart of a dying corpse” has hung in the air like… well, like a bad smell. So was he right, or can Spotify and its rivals prove their worth to musicians in the coming months and years? 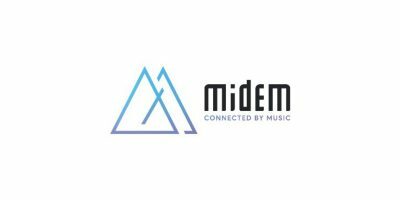 The final panel of the first day at Midem tackled the topic, albeit without any actual artists on the stage. Instead, the panel comprised Axel Dauchez, CEO of Deezer; Eddy Maroun, CEO of Arabic streaming service Anghami; Brian Message, chairman of the Music Managers Forum; Thorsten Schliesche, SVP and general manager Europe at Napster; and Mandar Thakur, COO of Indian firm Times Music. Schliesche also talked about the way the “product definition” is changing for artists: “We have a new currency, which is play, and everything which generates a play is something that brings the artist revenues. It could be a video showing the artist in the studio. It could be outtakes, it could be live recordings.” Napster, like its streaming rivals, is starting to produce its own content: acoustic sessions, video interviews and the like, to push this. Over to Brian Message, to give a manager’s view on how streaming works for artists, and what they need to do to make that better. “We find it to be quite liberating,” he said. “It can be very different for a brand new act versus a more established artist.” He talked about sitting down with Nick Cave two years ago, and realising that streaming was a “really useful tool” for the artist, who didn’t want to do much promotion himself. What about YouTube as a competitor for streaming services? Not least because they have a community of curators, some of whom started by illegally posting music on YouTube, but got so big, they now have deals where labels are paying them to promote music (according to Rabkin). Both he and Maroun talked of streaming as something that will pay off in the long term for artists. “We and artists are in the same boatL if we succeed, we both succeed, and if we fail, we both fail,” said Maroun. Dauchez also claimed that if iTunes customers – who spend an average of $40 a year – switch to being paid streaming subscribers, they’ll be paying $120 a year. But he warned again that new artists must benefit from any increase in overall revenues, rather than just big, established stars. 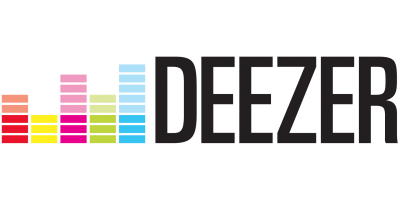 Thakur suggested that “artists should first and foremost focus on writing the hits rather than making lots and lots of money“, before Deezer chipped in criticising YouTube as “the most important legal pirate”, and suggesting that artists should be welcoming the move towards audio streaming as an alternative to that. Another question from the crowd asked about data – how can artists interact with the people who are streaming their music on Spotify, Deezer and other services. “All I have is a country flag on a map,” said the questioner. Will there be more data-sharing by streaming services, in other words? Schliesche said he’s concerned about the potential for artists to start promoting rival streaming services if they’re given direct access to Napster’s customer list, but he was broadly positive. “If artists do build their own base and would like to promote their own things within the community, they should get access to the community,” he said. “The good thing at some level for us is you do have some choices, there are a number of ways of doing things,” said Message, praising the rise of ‘label services’ companies, which bring with them better access to data.